Bangalore is the capital of Karnataka and the third most populous city in India (8.7 million); spread over 709 square kilometres. It is the fourth-largest contributor city to India's overall GDP; generates 2.5% of India’s GDP. It is the India's IT capital and is also one of the world's top global centres for Information Technology. As the silicon hub of India, Bangalore contributes 33% of India's exports in IT /ITES sector. Bangalore topped the JLL CMI (City momentum Index) 2017 for the first time; its status as one of the world’s premier technology hubs. India's IT giants Infosys and Wipro are headquartered here along with many other multinational IT companies. 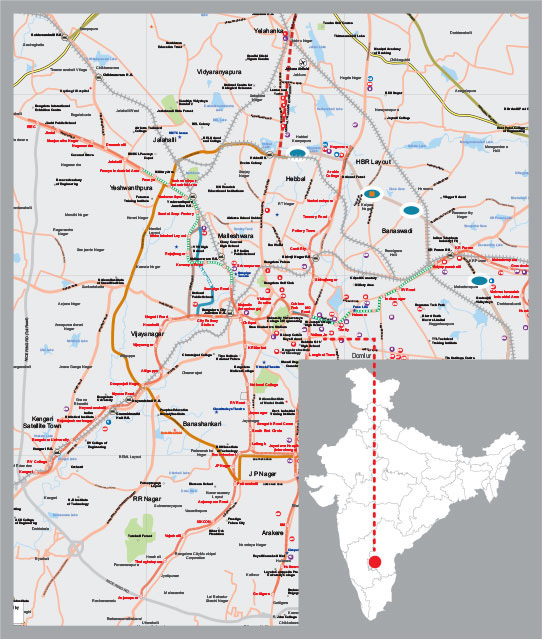 It is one of the fastest-growing metro cities in India. It is also the country's fourth largest FMCG (fast-moving consumer goods market). Bangalore is one of the key biotechnology hubs of India and houses the related industries. Around 47% of the biotechnology companies in India are located in Bangalore. Bangalore is also headquarters of several large PSUs such as Bharat Electronics Limited (BEL), Hindustan Aeronautics Limited (HAL), National Aerospace Laboratories (NAL), Bharat Heavy Electricals Limited (BHEL), and Bharat Earth Movers Limited (BEML. In addition to this it is hub of many national and corporate R&D (research and development) centres such as National research institute Indian Space Research Organisation (ISRO) under the Department of Space is also headquartered in the city. Global firms such as ABB, Airbus, Bosch, Boeing, GE, GM, Google, Microsoft, Mercedes-Benz, Nokia, Oracle, Philips, Shell, Toyota and Tyco have their R&D centres here. 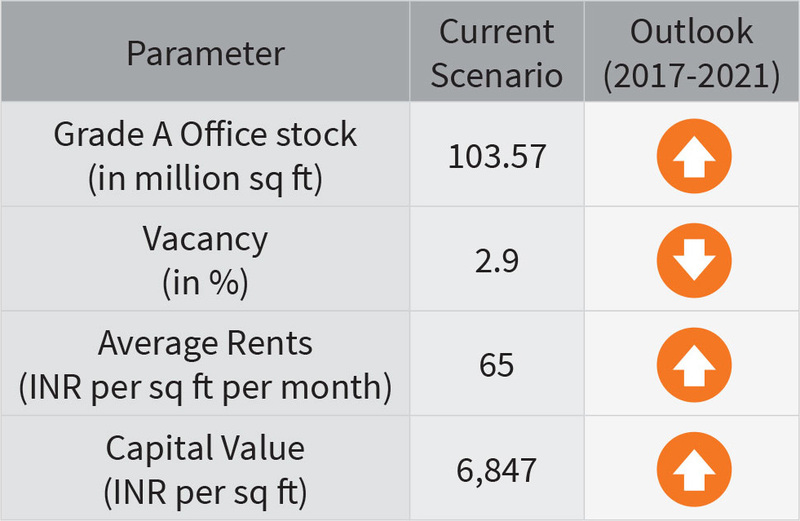 Bangalore office market is divided into four submarkets which includes the CBD, SBD (further sub-divided into three more markets), Whitefield and Electronic City. Bangalore office Market witnesses leasing primarily from IT/ITES. However in last few years there has been increased leasing from e commerce, BFSI and manufacturing sectors, etc. 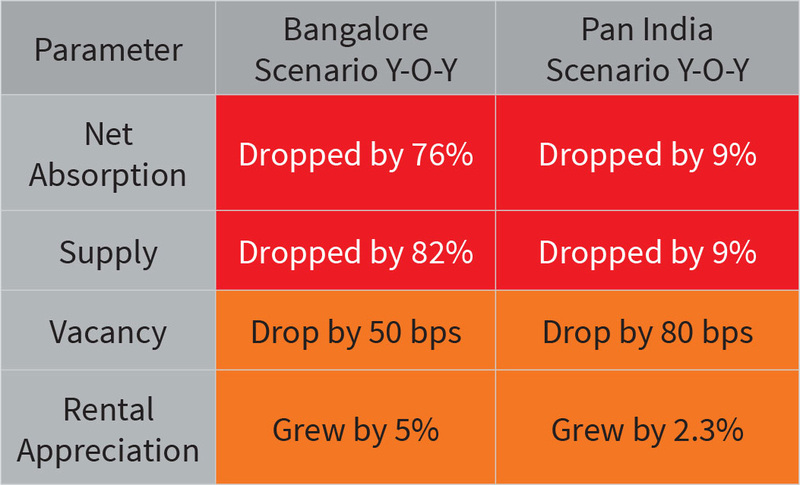 Upcoming projects over the next two years are located mostly in the SBD submarket. They are well equipped with new facilities to meet all business and other requirements of the occupiers. Pre-commitment levels are strong in such projects. Interestingly we have also observed increase in coworking spaces in Bangalore as it is also called the start-up hub of India. For all enquiries not relating to your Personal Information please contact us at http://www.jll.co.in/india/en-gb/contact-us.